INDIO, Calif. (December 21, 2018) - Hunter Epson (Long Beach, Calif.) shot a final-round 5-under 66 to win the 2nd annual Agave Amateur by four shots at Shadow Hills Golf Club in the California desert. Epson, who started his college career at Pepperdine but transferred to Long Beach State University, took a share of the lead with a 64 in the first round. A second-round 68 put him in a tie with reigning Nevada State Amateur champion Alex Jordan of Las Vegas heading into the final round. In the final round, Epson suffered an early bogey but reeled off six birdies to pull away from Jordan, whose last birdie of the day came at the 4th hole. Jordan finished with 14 straight pars for a 70 and a runner-up finish. Austin Fox (Folsom, Calif.) started the day two shots back of the leaders but made five birdies to keep pace with Epson, staying two shots back with two holes to go. But a bogey-double finish dropped him to solo third, five shots back. Epson's winning total was 15-under 198. "This win means a lot", said Epson. "I’ve been close recently. Just getting it done without having been in that position for awhile feels great. I’ve been working on my game a lot and it was nice to see the results coming. It will be good for the spring semester." 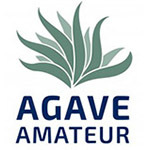 A part of the Troon Saguaro Amateur Series, the Agave Amateur is open to amateur golfers who meet the eligibility and exemption requirements and cannot be junior golfers considered prospects by the NCAA, although prospects can compete in several of the ‘open’ events like the Sizzler, Gobbler, and Agave Amateurs.